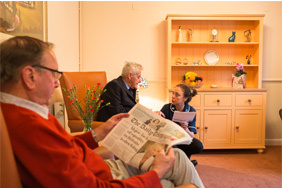 Casterbridge Manor offers the highest standard in residential, nursing and specialist dementia care. 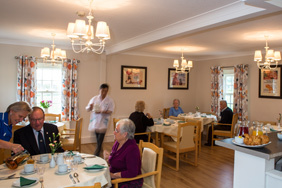 Set in the picturesque village of Cerne Abbas near Dorchester, we offer a warm, safe and friendly care home environment where our residents can benefit from excellent care whilst maintaining their independence. 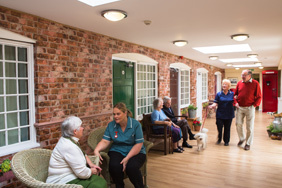 We offer quality of life: a supportive, homely environment; compassionate and highly trained caregivers and warm, comfortable and stylish surroundings. 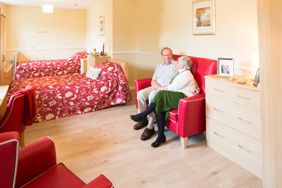 Inside, the care home offers 61 beautifully designed bedrooms, the majority of which are en-suite. Each room is fully equipped with practical stylish furnishings achieving a balance between attractive, comfortable surroundings with the practicality of the fixtures and fittings required for everyday life. At Casterbridge, we want every resident to feel completely at home. 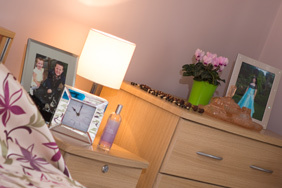 To achieve this, residents are encouraged to personalise their own space with photographs, pictures, ornaments and small pieces of furniture – all of which can be extremely valuable when it comes to settling in and promoting positive memories. 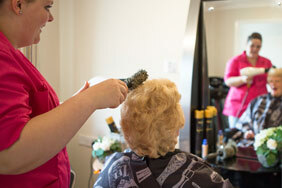 All rooms also have a TV aerial socket and residents are welcome to bring their own television. 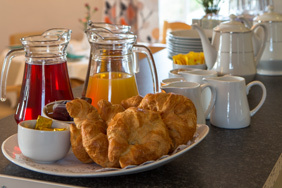 As well as offering comfortable and stylish accommodation for individuals, Casterbridge Manor is also home to three double rooms, allowing couples to continue to live together during their golden years. 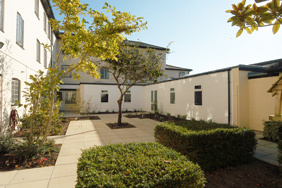 All residents of our double-rooms can expect to enjoy the same high-quality, individualised care that the team at Casterbridge prides itself upon. This includes regular individual reviews and assessments to ensure that the care offered meets the needs of both partners. Each room also houses a locked medical cabinet, ensuring that all medication relating to each individual’s clinical needs stays close to hand within their room. 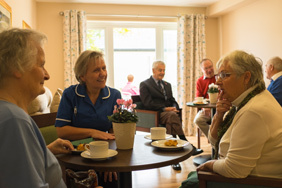 While some residents prefer to spend time reading in their rooms, others enjoy the companionship of being able to spend time with friends, play board games, listen to music, watch TV or get involved a range of activities. 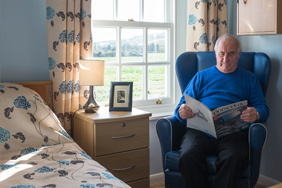 Our choice of comfortable living rooms ensures that there are a range of environments to meet the individual likes and dislikes of all of our residents and enabling those who require quiet companionship to seek a relaxing space while others engage in more active or noisy pursuits. Mealtimes take a similar approach. 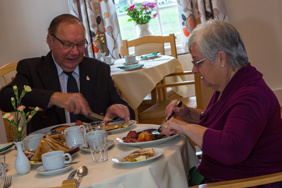 While meals can be eaten in residents’ rooms, our choice of four warm and welcoming dining rooms have been specially designed to encourage residents to get together and socialise with friends and staff alike. The choice of four dining rooms offers a mix of formal and more casual dining, ensuring that there is an environment that caters to the likes and dislikes of a wide range of tastes. Our dedicated cinema area offers an opportunity for residents to get together to enjoy a favourite film. We screen a range of TV programmes and films, old and new, allowing residents to watch films that spark memories from their past. 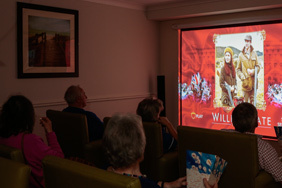 As well as providing an ideal space to socialise, the cinema has also been designed to support our residents, to communicate and remain mentally stimulated. 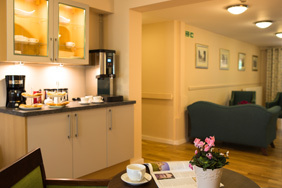 Our on-site café offers residents an ideal place to relax, socialise and welcome visiting friends and family. Set in comfortable and stylish surroundings, the café offers a selection of freshly brewed tea and coffee and light snacks. 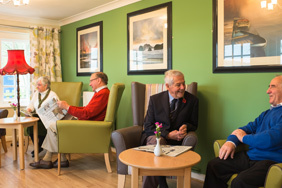 Having a café on site helps to ensure that residents are able to enjoy their leisure time and entertain visitors in comfort, providing the enjoyment of a trip to a café or tearoom without needing to venture further afield. 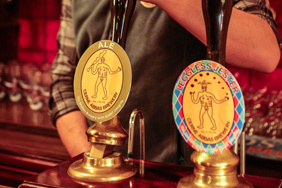 In addition to the on-site café, which offers a tea-room experience complete with a selection of teas, coffees and sweet treats, the on-site pub offers another environment in which residents can socialise and entertain guests. As part of Casterbridge Manor, the pub gives residents the opportunity to maintain the kind of social interaction that they are accustomed to, within the safety and security of the care home environment. We’ve brought the outside inside. Leading from the main courtyard within our beautiful landscaped gardens, our indoor street scene is like stepping back in time. 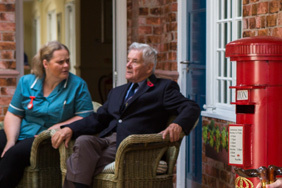 Featuring old brick walls, a telephone booth and post box, the street scene is a fun but important tool which can help to stimulate memories and generate conversation. The library at Casterbridge offers a range of reading materials to suit a variety of tastes. 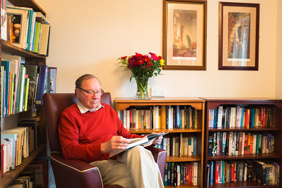 As well as being both relaxing and pleasurable, reading offers residents the kind of intellectual stimulation that can help to keep the mind sharp. Whether residents want to relax with a cup of tea and a book in the gardens, or families want to borrow books to read to their loved ones, the on-site library caters to a range of needs. 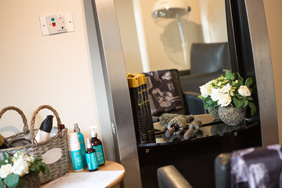 The addition of a salon within the grounds of Casterbridge Manor enables residents to enjoy some of the luxuries in life. 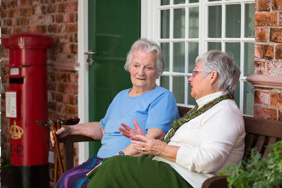 Ensuring that residents are able to maintain a standard of personal care and take an active role in their own well-being and personal presentation can provide a huge benefit in terms of self-esteem and general mental health. 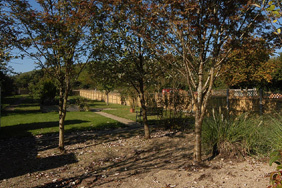 Set in the stunning Dorset countryside with amazing views, we have worked hard to bring the beauty and tranquillity of the surroundings to the home and gardens at Casterbridge Manor. 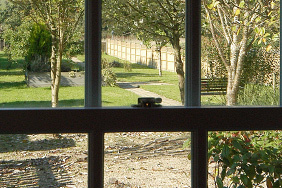 Our large landscaped gardens offer residents the opportunity to soak up the beauty and calm of the rolling hills surrounding them, while three additional garden courtyards offer further space to experience the outdoors from the safety of our private grounds. Casterbridge Manor is located in Cerne Abbas, a picturesque and historic village nestled in the valley of the River Cerne In Dorset. 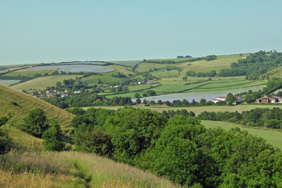 Perhaps best known for the Cerne Giant, Britain’s largest chalk hill figure, the area is also home to charming tea rooms, restaurants and shops, Minterne Gardens and a Benedictine Abbey, providing ample opportunity for outings and day trips. 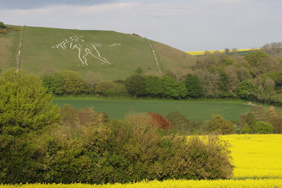 Situated between Sherbone and Dorchester, Cerne Abbas is well-served by A roads to Southampton and Bath, while the M5 is within an hour’s drive. Its location makes it an ideal spot to explore the local countryside, with the Jurassic Coast and numerous pretty English towns and villages within easy reach. 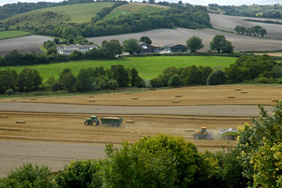 As well as the rolling hills and inspiring views, Casterbridge Manor has worked hard to ensure that its immediate surroundings match the natural beauty of the hills beyond. Landscaped gardens and pretty terraces provide residents and visitors alike with an ideal opportunity to go for a stroll or simply sit and take in some fresh air.